The Androscoggin Riverlands State Park offers so many glorious options so you should make an effort to visit ... as soon as possible. No need to delay. Why didn’t I come here sooner? This is the question I kept asking myself as I hiked along a rugged trail running parallel to the river in Androscoggin Riverlands State Park. The thought popped up between watching a great blue heron fish for her meal, spotting paddlers gliding through the water in canoes and hearing the far-off sound of a float plane coming in for a landing. This stretch of the Androscoggin in Turner has been a state park for almost a decade and a recreation destination for even longer. So why hadn’t I been here until a few weeks ago? I really have no excuse – and since “more than half of Maine’s population lives within an hour’s drive of this park,” according to the Maine Department of Agriculture, Conservation and Forestry, you should make a point to visit, too. 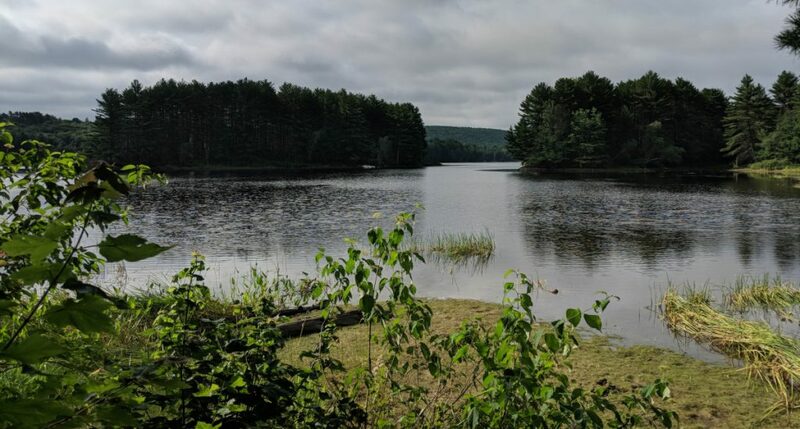 This low-key, less-trafficked, fee-free park has plenty to offer anyone looking for a taste of wilderness adventure close to home, whether you walk, hike, paddle, mountain bike, drive an ATV or take in the sights astride a horse. Androscoggin Riverlands State Park is 10 minutes north of Auburn, on the western bank of the Androscoggin River. The 2,675-acre preserved land features 12 miles of river frontage and a whopping 22 miles of mixed use trails, including 6.6 miles of single-track mountain bike trails and 3.4 miles of hiker-only trails. Of course, you don’t have to run an ultramarathon or hike a dozen miles to have a great time exploring. 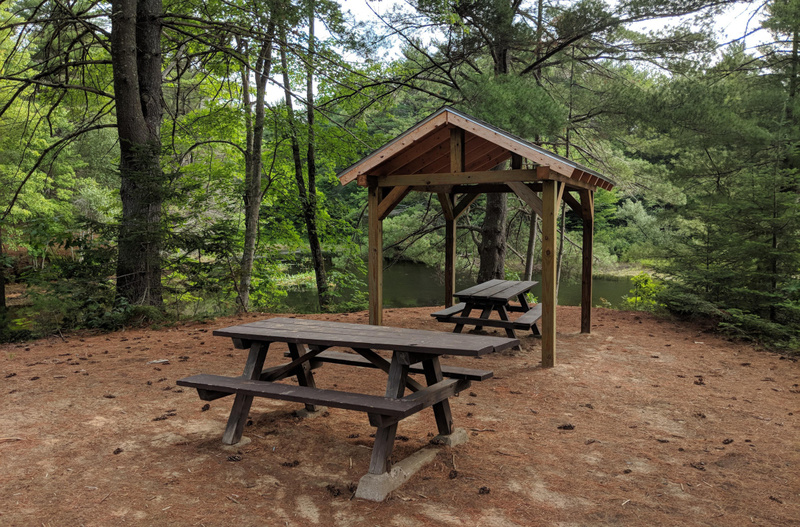 There’s just one picnic area in Androscoggin Riverlands, about a mile from the northern entrance, and it’s a great introduction to the expansive park. To reach the picnic meadow, you can hike 1.1 miles on the Homestead Trail, which travels over a rugged, rooty up-and-down path, passing a number of historical home foundations from the community that existed here before the Gulf Island Dam was built; you can bike the 1.5-mile Porcupine Path, a single-track mountain bike trail with switchbacks and a bridge; or you can ride a horse or ATV down the wide and flat Old River Road Trail. There’s also a boat pullout at the picnic meadow if you’re traversing the park by water. The picnic meadow features a number of tables, no grills, and a bench that looks out over the river. Picnic meadow features a number of picnic tables (no grills – please kindle no fires) and a bench that looks out over the river. You’re likely to see birds and other wildlife here, as well as the occasional boat and float plane, but you won’t see much in the way of human development. It’s hard to believe that the Androscoggin River was at one time, in the 1960s, one of the 10 most polluted rivers in the country. We owe some thanks for the improved water quality to Maine native Senator Edmund Muskie, who co-authored the Clean Water Act that passed in 1972. This loop to the picnic meadow is just a taste of the park. If you’re looking to extend your trip, there are many interior options for long day hikes, experiencing some of the best mountain biking in the area or testing your ATV skills. The Ridge Trail, which begins about a mile south of the picnic meadow, offers hiking and biking on exposed stone slab ridge. 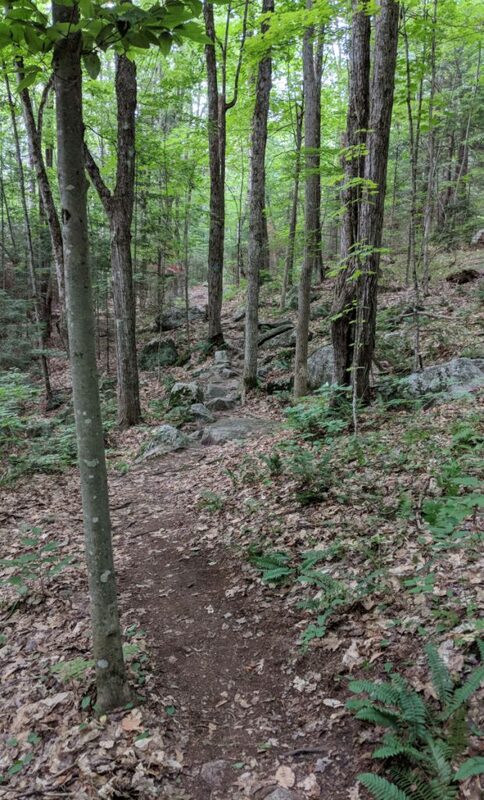 The Bradford Hill Trail, almost at the very center of the park, is a challenging, steep, rocky hikers-only trail that passes over one of the park’s highest points, with a scenic outcrop that looks over the river. The Bradford Loop Trail and Old River Road Primitive Trail are technical ATV trails that offer an exciting challenge for experienced riders. Within minutes of entering the park boundaries, it’s easy to feel like you’re in a much more remote part of the state. When you’re looking out over the undeveloped shores of the river or tramping over the rugged hills that undulate through the protected corridor, it’s no surprise that this is Maine’s fifth-largest state park.